I've finally given up on the PS3's PlayTV. It's lasted me a few good years, but when the firmware upgrade that gave us series link (how did it take that long????) also gave me hanging when launching PlayTV and not being able to play Blu-Ray discs, I decided that enough was enough. I now have a Humax HDR-Fox T2 box sitting under my PS3, which not only gives me series link that seems to work without breaking everything else, but also gives me HD recording which PlayTV still doesn't. BUT the joy of spending money on electronics, unwrapping and plugging it all in was shattered as soon as I tried to search for a programme. It hung. I couldn't go back. I couldn't put it into standby. I had to switch the power off at the back of the box and back on again. And this happened every time. Now you could call me demanding, but I'd expect a Freeview box that says it has a search feature to be able to actually, you know, search. Isn't that what they'd call "fit for purpose"? Fortunately, there is a solution - go to the Humax beta firmware page, download the latest firmware, unzip it, stick the .hdf file in the root of a USB stick, power down the Humax, bung the USB stick in the back, power it up, wait for it to install, power it down again (note - not hit the reset button as it tells you), remove the USB stick, then power back up again. And then it works. Apparently it's something to do with a change to the EPG data format transmitted for HD channels, but that started months ago. But my point is that this took me quite a bit of digging around the intertubes to discover, and is not exactly something I'd expect the average TV user to be able to do. Shouldn't these things just work out of the box? Yesterday, I took the plunge and successfully upgraded my Samsung S to Froyo. This was with ROM I9000XXJP3 which although released by Samsung in Kies, does not appear to be an official release ROM version. I thought the experience was worth sharing for anyone else that might be thinking about it. Upgrading Kies to the version which contained the new ROM took over ten hours, after which my laptop was no longer able to recognise my phone because the USB drivers had been destroyed. Another five hours of trying things to fix the drivers had not solved the problem so I gave up and switched to my other laptop. As it turns out, Samsung have stopped the update being available in Kies anyway. Used ASTRO to back up existing apps. Downloaded I9000XXJPC from here using WinRAR to unpack. Followed these instructions to use Odin to reflash the new ROM. 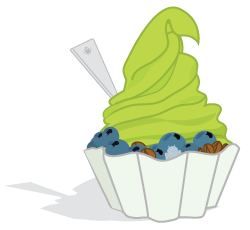 The upgrade went totally smoothly and very shortly my Galaxy S automatically rebooted into Froyo loveliness. The most noticeable difference so far is the speed - the 3-4 second delay when opening an activity is all but gone and the phone phone feels much nicer to use as a result. This was the one thing that had been stopping me saying that the Galaxy S was as good as an iPhone 4. The second major thing is Flash 10.1 support so I don't get crappy messages on sites that insist on it. Sorry Steve, but it's going to be a long time before everyone has moved to HTML5. Other things are more cosmetic - there's an option in the Market to allow automatic updates which sounds nice, settings have colour icons, there's a GPS toggle in the windowshade when you drag down the notification bar, apps can now install to the SD card (although to do this by default you have to do some tweaking), and so on. Some of the settings were lost - display timeouts, lock screen config, etc., which wasn't a surprise. Account details for Google accounts were preserved, but others (e.g. Hotmail) lost. Not a biggy. I chose not to repartition during the update, but many apps crashed when first run so needed reinstalling (either from the Market or from my ASTRO backup). With hindsight I probably would have just repartitioned to give a clean start and then restored everything in one go from ASTRO. Pure Calendar (which is one of my favourite widgets) has vanished, is not visible to me in the Market, and wasn't backed up by ASTRO. It turns out this is because I9000XXJP3 isn't official (as far as Google are concerned) and so copy-protected apps are hidden. More info from the developer of Pure Calendar here. Copy-protected apps can be backed up if you've rooted your device, e.g. using Titanium Backup, but I didn't know that at the time. Overall, I'm pretty happy with the upgrade, if a little frustrated at having to reinstall apps and losing Pure Calendar. When Samsung release an official ROM later this month I'll be upgrading to that using the same process again. I've now rooted it following instructions from here, and applied RyanZA's One Click Lag Fix from the Market roughly using instructions from here, which pretty-much doubled my Quadrant score up to 1766. The phone is blindingly fast now - definitely recommend. 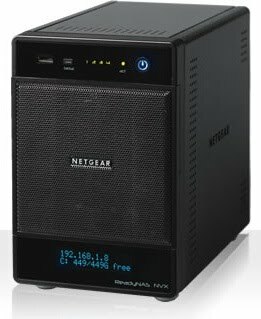 I've recently upgraded my home storage solution to NetGear's ReadyNAS NVX and I must say that I'm rather pleased with it. I've had a Buffalo Linkstation for a while now and it's been a good little box - quiet and does the storage thing fine. I'd even gone as far as reflashing it to run Debian so that I could install a SqueezeBox Server (which was quite an ordeal but worked second time around after bricking the first one). But the little ARM9 chip really wasn't up to doing much more than file sharing so trying to do stuff whilst it was serving music would end up with songs cutting in and out - not ideal. So why the ReadyNAS NVX? Installation was unbelievably easy - unpack, plug into network, done. There is some "RAIDar" software you install on one of your machines to give you monitoring but again this is trivial (even on Windows 7). A basic wizard in the web interface gets all your initial settings done (network name, initial user accounts, etc.) but it is all over in a very few minutes. The ReadyNAS is running Debian, and with a simple add-on upload you can ssh as root and play to your heart's content. Of course it comes with warnings about NetGear support not being too chuffed but whatever. I also installed another add-on that provides an istat server, which collects CPU, network usage, etc. and allows you to view it in a cool iPhone app. As well as showing how much disk space I've got left, it also gives me a good view as to how well the Intel embedded CPU is coping with the load. Not only does it support CIFS for Windows and AFP for Macs, but it also lets you expose shares as NFS, provides FTP access and also runs an rsync daemon (which is what I used for blasting the data across from my LinkStation). Plus it also throws in network sharing of USB printers to boot. This was one of the key sellers for me with the NVX. Not only has it got four hot-swappable bays, but it also supports the new X-RAID 2 technology which allows you to swap out existing disks for bigger ones and get benefit even if they're not all the same size (unlike X-RAID 1). For me, this meant that I could take my two 500GB Linkstation drives (remember I bricked the first one) and add then to an NVX that was prepopulated with two similar drives and I get 1.5TB of storage now but can swap out a couple of disks later if I fill that up. In other words this should last me a few years of growth even if I do start recording HD movies. There is direct support for SqueezeBox by Logitech, in fact it ships with the add-on already installed. Updating to the latest version was again very simple and it's been working perfectly, including running the fabulous iPeng which used to cause my LinkStation to overload. But not only does it provide SqueezeBox support, it also supports Sonos, DLNA (so my PS3 sees media) and packs a Firefly server to stream your music to iTunes if you so desire. That's pretty comprehensive. There's a whole host of other good things about the ReadyNAS as well that I've not gone into (have a look at the backup options in the specs, which I've not played with yet), but I've been really impressed with how easy it's been, and how it blows away my requirements. There are cheaper options as well, such as the ReadyNAS Duo, which drop some of the features or have fewer drive bays, but for me the NVX gets it just right without (completely) breaking the bank. I've now taken the first of my LinkStation drives and added it in the third bay. Installation was trivial - just attach the drive to the housing and slot it in, then the ReadyNAS recognised it, gave me the option of wiping the existing data, and added it to the RAID set. Restriping took around nine hours but the whole process was totally pain-free (and with the device in use for other things throughout). And the admin site is laid out perfectly for an iPad too! Until now, my mother-in-law and I have had some clearly understood boundaries. She is an excellent cook and fattens me up (further) with all manner of culinary delights whenever I visit. On the other hand, with computers she manages to hold the mouse the right way around most of the time, but I am the designated computer expert and therefore have to do the usual laptop fixing, virus removal, etc. of her machine whenever I go round. But she has now crossed the line by buying me a Christmas present which actually taught me something I didn't already know about computers. The present in question is an EcoButton(tm) which is basically a big green glowing button that you plug into a USB port and which puts your computer to sleep when you press it, thus saving the planet. Obviously I initially dismissed this as a complete gimmick - after all, how is this any different from me putting my laptop to sleep by just shutting the lid? But before totally writing it off, I did go as far as reading their FAQs and then discovered that there was more to sleeping than I previously was aware of. After a bit of browsing around I am now slightly less ignorant so thought I should share. S2 - similar to S1, but processor and some buses are powered down. Slower than S1 to wake. S3 - similar to S2, but all context is lost apart from system memory. Similar wake time to S2. S4 - all devices (including memory) powered off with memory state stored to disc, i.e. this is what we know of as hibernate. S5 - everything off, all context lost, i.e. this is what we know of as "shut down". Also, with Windows XP it usually defaults to S1 rather than S3 even though the power consumption for S1 isn't anywhere near as good as S3 (Dennis Forbes did some tests on his machine and found S0 to be 129W, S1 112W and S3 5W). So it turns out that what the EcoButton does when you press it is to run a command to force the machine into the S3 state rather than S1, and then show you a nice page when you reawaken that tells you how much money and CO2 you've saved. To force the min sleep to be S3 do dumppo admin minsleep=s3 maxsleep=s4 and then reboot. Note that some USB devices may have problems with this, so you may need to revert if you experience any of these. In Vista, Microsoft introduced a new "Hybrid" sleep mode where it saves a hibernate image in case power is lost, but then drops to S3 mode. It appears though that by default this is disabled in laptops - the thinking being that in a laptop you don't want it to sit there draining the battery but instead just go straight to hibernate if you're leaving for a long time. Checking my Windows 7 configuration this also seems to be the case there (control panel - power options - edit plan settings - change advanced power settings). So what am I going to do? I spend most of my home life using a laptop, and tend to shut the lid when I'm not using it to send it to sleep. The big green glowing EcoButton is not going to make me do this any more often so I'll probably just plug that in to my less-used desktop. But I will switch on hybrid sleep mode, and as soon as my new power meter arrives I'll check out what the consumption really is. And in case you're wondering, EcoButton claim that a typical user can save 135KG of CO2 in a year by using their button, so compare this against a single flight from the UK to NY at 1.3 metric tons of CO2 and you can see that although it's not earth-shattering it does make a difference. Google Wave - collaboration or chaos? How Google Wave would have helped me in a recent project, and how it wouldn't. At BigCorp*, I was recently involved in a team of eight people spanning three countries. We hadn't really worked together before, but had been brought together to do some strategic thinking over a few weeks, then do a presentation to senior management of our findings. As we still had our day jobs to do, and as we were spanning several time zones, it quickly became apparent that we needed some collaboration tools to help us bounce ideas around, capture thoughts and eventually structure into the presentation. Being a large company, we couldn't just download the latest toys from the web to use, so settled on a combination of e-mail and SharePoint as the best we could get hold of at short notice. But it was soooo painful. E-mails quickly drifted into monstrous chains of replies and CCs where you had to read the entire mail each time to work out which point someone was responding to. The SharePoint discussion forum became unwieldy as the threaded tree structure made it impossible to see what was new, and change notifications didn't really help unless each team member had subscribed to ten different feeds. And to produce the final presentation we ended up with a couple of people just getting round a screen and bashing it out, sending out for review, then trying to incorporate feedback. To give it its due, SharePoint was quite good as a document management space where we could upload relevant docs and version docs we were creating ourselves, and the workspace concept helped keep information around meetings in some kind of order, but it really wasn't quite up to what we needed. What we needed was of course Google Wave. If you don't already know about this then there's plenty of information out there, but a good place to start is O'Reilly's overview. In a single tool, we'd have been able to have structured discussion, receive notifications, and collaborate together (in real time!) on the final presentation. It would have been perfect, and several of us lamented on it not being available for general use yet. But maybe it's not in fact a silver bullet. Intense debate around certain points generated a huge amount of comments and replies, which would clutter up a Wave just as much as a discussion forum. As a Wave gets larger, it's not clear how to effectively notify people of what has changed. The Wave has no intrinsic structure, so without strong moderation is likely to suffer from the same drift into chaos as Wiki pages. Because Waves are so open, it would probably have been harder rather than easier to reach consensus, as anyone could reedit any part of the Wave (although of course you can see who did what when). We had enough problems getting some of the team used to using a discussion forum, so a Wave would probably be too much too quickly. Nothing Google can do about this, but sometimes you have to work with Luddites. So how do we make Wave work? I think there are two main points that I take out of this. Firstly, Waves are going to require the same kind of discipline and organisation as Wikis currently do. Teams will have to work out rules to guide how they use Waves and also have some idea of ownership or moderation to keep the Waves clean and structured. I assume that Wave best practice guides will appear fairly swiftly, and that training companies won't waste much time before seeing an opportunity to make a buck there as well. Secondly, I think that over time we'll see the emergence of Wave UIs that make it easier to use Waves in particular ways focused around certain tasks. We can't assume that everyone will be able to just dive into a free-form Wave and make effective use of it. The underlying technology and protocols will still stand, but the tools will make it easier to do specific types of work using Waves, and of course over time new ways of working will evolve that will also need supporting. I fully intend to get Wave into my organisation just as soon as I can, but it's going to be interesting to see how quickly it is adopted, what troubles we hit when we are using it for real and how we make it into a really productive tool. ISPs snoop every page we visit: how worried should we be? British ISPs BT, Virgin Media and TalkTalk intend to launch a service called Webwise that spies on the address and content of every web page that you visit using third-party software from a US company called Phorm, and then make information on your browsing habits available to other web sites (presumably for a kick-back). This sounds pretty worrying, and it has sparked a lot of attention over the last few weeks, incluing Tim Berners-Lee going to Parliament to ask for it to be banned, and ending up in a clash with the Phorm CEO (who it seemed hadn't been invited to the party but turned up anyway). If Sir Tim's worried then I'm worried, so I decided to find out some more about what it actually is. In brief, Phorm provide a system that the ISPs will run that performs deep packet inspection. This means that they will be analysing not only the pages you visit, but what's contained on the pages as well. This is then matched against certain patterns to identify browsing habits (e.g. you visited a page containing the words "holiday" and "Bulgaria", so you're now tagged for Bulgarian holidays), and if you match a pattern then this match is stored in a site called the Open Internet Exchange (OIX). Now if you visit another page from a site, that site can query OIX to find what you're interested in and deliver you appropriate advertising. Your privacy is protected because it doesn't store your name, just a random number that stays with you as a cookie so can be used to target content. they can also throw in an anti-phishing thing that warns you if you're about to go to a dodgy page. Note that there's been no mention of you getting a share of the revenue that no doubt BT will get for putting this service in, but that's by the by. Pulling the analogy from the ZDNet page about Deep Packet Inspection, this is like the Royal Mail rather than just looking at the address on a letter and sending it to you, instead opening the letter up, reading the contents, then telling someone else to send you spam based on what youe letter said. This would never be allowed, so why is it OK for electronic communication? It is also worth remembering that most people's webmail accounts are http rather than https so all their e-mails are fully accessible for scanning. Two other things deeply worry me about this whole shebang. Firstly, the anonymity mechanism is totally flawed. Although Phorm don't know who you are (because they claim they won't look at user names, credit card numbers, etc. ), any site you're logged into can match up your unique number with your user. They've now got access to your full browsing habits as well, and this is a massive invasion of privacy. Secondly, the ISPs are running a system from a third-party company with a CEO that has allegedly been responsible for spyware on PCs previously, with no clear regulation, whose legality has also been questioned in the US, and where the BT has already performed secret trials of Webwise without end-users knowing which resulted in the European Commission getting involved. None of this makes me feel warm inside about these people having and distributing my browsing habits. So - what to do? Check out BadPhorm which has some more info on all of this. If you're a Firefox user then get the extension from Dephormation which blocks Webwise from working. Seriously think about switching ISP to one that is not going to sell your secrets to the world. It became time for me to purchase a new laptop, and so after a bit of research I settled on a Vaio. Before you say it, I know it's not as cool as a MacBook Pro, but in the current climate I couldn't really justify paying twice as much so I settled for a custom build FW series to give me good resolution and a reasonable balance of other features without breaking the bank. So far so good and I placed my customised order. Unfortunately, Sony decided that I was untrustworthy so even though my credit card went through fine they still rejected my order based on some trumped-up excuse about failing some other security checks (the Sony guy I spoke to claimed they're the third most defrauded company in the UK). Of course they couldn't tell me which security checks because that might enable me to defraud them in some other way, but it turned out that was not the biggest problem. The biggest problem was with their order management software. Because my original order was rejected they had to place a new one, but there was some problem with their software so I was asked to call back in a couple of days. This I did, to be told that there was still a problem with their software. A couple more attempts, and I found out that what was actually happening was that they had a problem where the software would reset any custom builds back to the default configuration as soon as you saved the order. This is obviously not good, and even more not good was that Sony only discovered this after they'd shipped some units to customers (presumably who weren't too happy with what they received). This has got to be pretty damn embarrassing for Sony, and I really hope that they're throwing some toys out of cots at their software supplier as I suspect that they would be one of the really big, really should know better suppliers, who probably charge lots of money because they have really good QA departments. Or not.